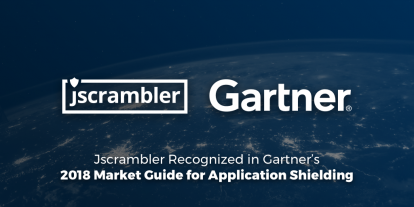 "We are very pleased to be recognized once again as a Representative Vendor in Gartner's Market Guide for Application Shielding. We believe it shows Jscrambler's unique contribution to the Application Security landscape and that client-side security is a topic that more and more experts and companies know it's crucial to address. ", said Rui Ribeiro, co-founder and CEO of Jscrambler. them. Companies need to go beyond to ensure that their web applications are truly resilient and that their reputation and user experience is protected." Application Shielding refers to a set of technologies that typically modify an application's code to make it more resistant to reverse-engineering, tampering, invasive monitoring and intrusion. Enterprises harden their applications to protect their software assets and the data touched by the application. Protecting applications that run within untrusted environments is crucial as mobile, IoT and modern web applications migrate software logic to the client side. Security and risk management leaders must harden their application front ends to avoid turning them into an attack vector. Black Friday: is your website fit for purpose?